Enjoy our magical holiday light display every evening in December through New Year’s Day. Free docent-led tour highlighting the people, architecture, beauty and history of Mountain View Cemetery. Tour led by Jane Leroe. Free docent-led tour by Sandy Rauch. Free docent-led tour by Ron Bachman, highlighting the people, architecture, beauty and history of Mountain View Cemetery. Free docent-led tour by Sarah Calhoun & Gia White, highlights the lives of community leaders such as; Captain Wm. Shorey, Alonzo & Jennie Prentiss, and Lydia Flord Jackson. Free docent-led tour highlighting the people, architecture, beauty and history of Mountain View Cemetery. Tour led by Carolyn Kemp. DUE TO RAIN, THIS SATURDAY'S TOUR IS CANCELLED. Walk amidst spectacular floral arrangements created by Bay Area florists, garden clubs, and local college floral design classes. Floral arrangement demonstration daily at 2p.m. Free event! Free docent tour highlighting the lives of influential women such as Julia Morgan, Ina Coolbrith, and Anna Head. Led by Jane Leroe & Michael Colbruno. Ching Ming is indicated on the Chinese calendar by the two characters: ching, meaning pure or clean and ming, meaning brightness. Enjoy complimentary Asian pastries all weekend long as we observe this annual Chinese tradition. Observed date is April 5. Enjoy complimentary chinese pastries donated by Mountain View Cemetery. While supplies last. Free docent-led tour highlighting the people, architecture, beauty and history of Mountain View Cemetery. Tour led by Ruby Long. Free docent-led tour by Chris Pattillo. Free docent-led tour highlighting the people, architecture, beauty, and history of Mountain View Cemetery. Tour led by Barbara Gibson. Free docent-led tour by Ruby Long. Dennis, who has also led tours at the Pardee Home and Oakland’s Preservation Park, gives a general tour with special emphasis on the Civil War and the role Californians played in the conflict. Free docent-led tour by Ron Bachman. Free docent-led tour by Dennis Evanosky. Free docent-led tour by Gia White. Free docent-led tour by Michael Colbruno. Free docent-led tour by Barbara Gibson & Jane Leroe. Free docent-led tour by Barbara Gibson. Stop by and admire the colorful leaves of our redwood and oak trees. Free docent-led tour by Jane Leroe. Join us at the Tower Chapel for FREE photos with Santa. Children of all ages are welcome. Enjoy arts and crafts and refreshments. Come by and decorate a personal holiday ornament in remembrance of your loved one and hang it on our remembrance tree. The tree lighting ceremony starts promptly at 5PM. Tree Lighting Ceremony and refreshments. At Mountain View Cemetery, we offer family-friendly events and activities year-round. Each of our free, docent-led tours meets in front of the administrative office 15 min before 10AM and lasts about two hours. Many tours involve walking up steep hills. * *Please note: scheduled tours and events are subject to change. 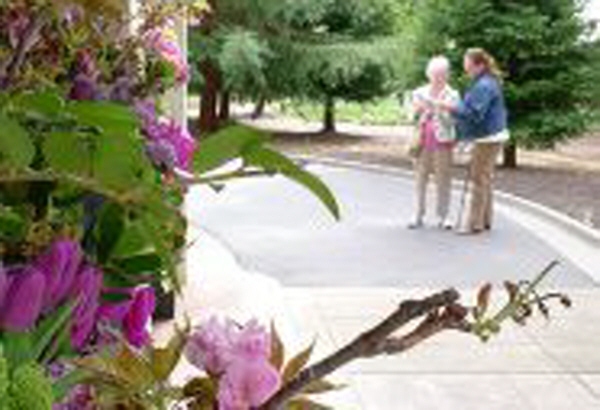 For the most up-to-date information and details, visit our website at www.mountainviewcemetery.org.